In 2004, representatives from Southern Minnesota Regional Legal Services (SMRLS), the Ramsey County Attorney's Office Victim/Witness Services, and the Second Judicial District Court Domestic Abuse and Harassment Office discussed applying for a federal family justice centers grant to establish a domestic abuse service center in St. Paul. Upon the approval of the Second Judicial District Special Courts, the pilot mini-service center at the Ramsey County Juvenile and Family Justice Center began in Spring 2004 to offer services to victims filing Orders for Protection. Staff from SMRLS, the St. Paul City Attorney's Office and 6 advocacy agencies: Asian Women United, Casa de Esperanza, St. Paul Intervention Project, Tubman, Women of Nations, and Women's Advocates began to provide services at the mini-service center. The Partnership for Domestic Abuse Services mission was developed and adopted. The first victim survey was conducted to determine the need for, and potential services of, a victim center. PDAS members made presentations to potential champions, reaching out to the St. Paul Police Department, St. Paul City Council, Ramsey County Commissioners, the Ramsey County Attorney's Office, and the St. Paul City Attorney's Office - all of whom pledged their support to the center. St. Paul Mayor Chris Coleman became another strong PDAS champion, and gifted the collaborative office space in Saint Paul City Hall. PDAS committees were developed, including an interim Governance Committee. A second extensive victim survey was performed in English, Spanish, Hmong, and Somali to ensure that center's services, location, governance, and philosophy were built around the diverse needs of the Ramsey County victims and their children. PDAS formally accepted the City Hall site, and in October 2006 the future site was publicly announced at a press conference. To support the Service Center's site build-out, Knutson Construction and BWBR Architects offered pro bono construction and architectural services, and Henricksen offered pro bono interior decoration services and office furniture at cost. Briggs and Morgan law firm offered in-depth pro bono legal services. Nelson, Tietz and Hoye, an owner's representative firm, offered discount services to act as an interface between the builders and PDAS during the build out process, and many subcontractors offered discounted services. The Location/Design Committee worked extensively with BWBR and Knutson Construction to design a center that was safe, welcoming, mindful of the building's historical character, and attentive to the unique needs of victims and their children. The final plans were approved by the full PDAS membership. St. Paul Domestic Abuse Intervention Project agreed to act as fiscal agent and employment agent for the Partnership for Domestic Abuse Services. A federal Violence Against Women Act STOP grant was obtained to hire a coordinator for the PDAS collaborative and the future center. The coordinator was hired in July 2007. The Governance Committee, in partnership with PDAS, worked with a facilitator to develop a governance model and interagency agreement. 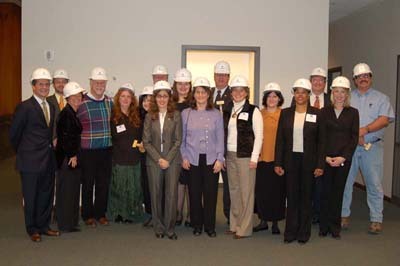 In October of 2007, PDAS conducted a full day strategic planning retreat to develop a governance process, interagency agreements, and a one-year strategic plan, and held an Open House for its partner programs at the future center site in City Hall. In November of 2007, the PDAS collaborative adopted a vision statement and a strategic plan for the center. In December of 2007, the Capital Campaign's goal was reached thanks to the support of a number of wonderful Minnesota foundations. The construction of the new center in St. Paul City Hall was launched on January 8, 2008. The Partnership for Domestic Abuse Services chose a name for the new domestic abuse service center: Bridges to Safety. On June 19, 2008, Bridges to Safety opened its doors to serve victims of domestic violence. 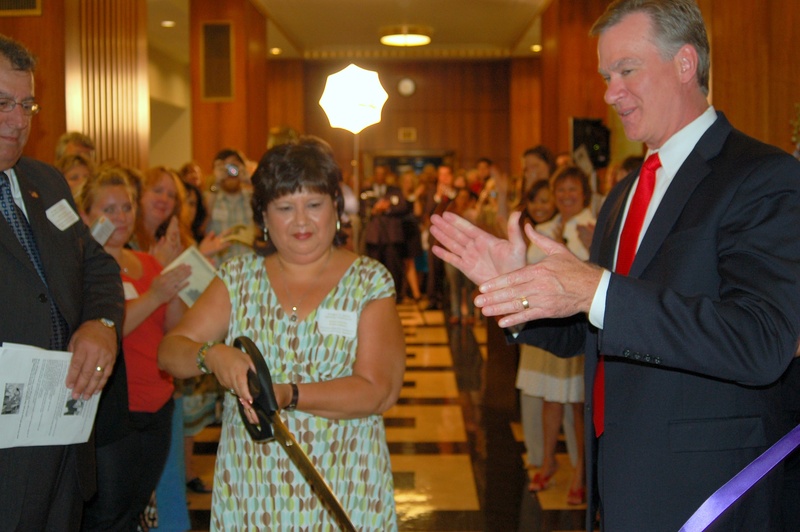 On July 16, 2008, Bridges to Safety held its official Opening Celebration. Since opening in 2008, Bridges to Safety has served more than 5,800 victims of domestic violence, providing them with over 17,000 separate services on site. In August 2010, the PDAS collaborative approved a new mission, vision and strategic plan to lead us into the future and expand our reach in working to end domestic violence. In 2013, PDAS expanding its membership to new organizations and individuals to continue to ensure that we address the emerging needs of all victims throughout Ramsey County. In the next two years, the PDAS collaborative will continue its groundbreaking strategic plan to create domestic violence prevention initiatives for children/youth and to ensure that counseling and parenting services are available for children and adult victim of domestic violence.